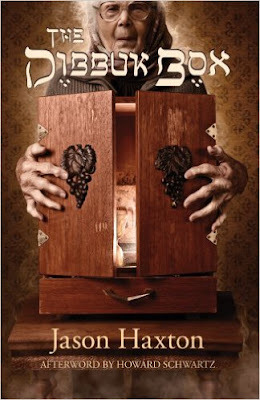 The Dybbuk Box is a wine cabinet thought to be haunted by a Dybbuk; a restless, usually malicious spirit who is believed to be able to haunt and even possess the living. The box gained popularity when it was auctioned on eBay by Kevin Mannis. He was not only selling the box, he was selling what's inside of it as well. According to Kevin, he bought the box at an estate sale in early 2000s. He was told that the box belonged to sales woman's grandmother Havela; a survivor of the Holocaust in German-occupied Poland. She escaped to Spain and bought the box there before immigrating to the United States. Kevin felt that it would not be right to buy off family heritage. However, the lady insisted telling him they do not want it anymore. She even told him the box is possessed by a restless spirit; Dybbuk. Kevin decided to buy it anyways. Generally, people tend not to believe in horoscopes yet somehow majority of are aware of our Sun sign. Furthermore, a lot of us sneak a peek at our daily horoscope; it is all for fun, we say. Weather it is in newspapers, magazines, websites or getting our full charts read; curiosity simply gets the best of us. Haunted dolls are one of the most famous objects associated with paranormal. My guess is, they probably hold the second spot, right after haunted houses. There is something eerie about dolls in general; add paranormal mix and you have got a recipe for nightmare. 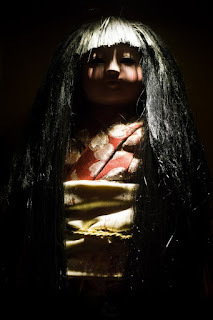 We have discussed several different haunted dolls on this blog before (Robert, Anabelle, Mandy, Peggy), but the doll of today's discussion is a little bit different. This doll has more of a magical properties rather than those of a vengeful spirit. Instead of attacking you, she simply - grows hair. Old Hag Phenomenon: An Apparition Seen by Other Person While Awake? A few weeks back, I was on a YouTube spree and I ended up watching a tone of paranormal storytimes. One, in particular, captured my attention. In a video, a girl by the YouTube name Leah Gordone talks about already terrifying enough experience; an old hag syndrome. However, there in a twist in Leah's story which captured my attention. The following is a story about the allegedly haunted house located on the cliff near the small town of Lovran in Croatia. The house has been thought of as haunted for a few decades now with numerous stories circulating around. From now on, Mysteria Words has a Facebook! Therefore, it is time for little shameless self-promotion. If you like our blog, we would really appreciate if you would take your time and like our Facebook page. That way our blog would get more exposure and it would mean a lot to us! Several haunted objects have been mentioned on this blog before with haunted dolls covering most of the haunted objects category. Aside from dolls, there are numerous objects that are allegedly haunted; from mirrors, to chairs and clothing; a haunted wedding dress to be more exact. 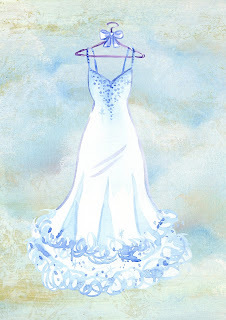 The allegedly haunted wedding dress is thought to be one of the most haunted pieces of clothing today. 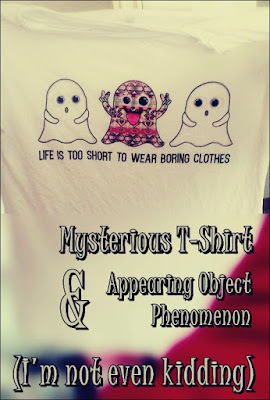 Last month, we started exploring interesting paranormal side of YouTube. In a previous Favorite Paranormal YouTube post, we have discussed Paranormal Kativity, one of my personal favorite YouTube channels about Paranormal. In today's post, we will discuss channel Kyla Rebecca. YouTube channel Kyla Rebecca does not necessarily focus only on the topic of paranormal. Instead, this channel covers several different topics with paranormal being a big part of it. 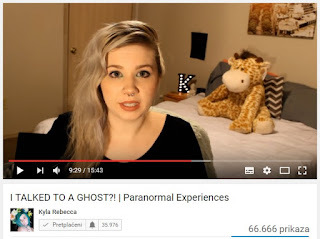 Furthermore, Kyla's paranormal videos are pretty popular; probably the most popular out of her videos. Her videos are also very unique and, therefore, worth a notice in my opinion. She shares her own unexplained experiences and she even went on a ghost haunting investigation with her friends. We have covered some celebrity paranormal experiences on this blog before; we discussed the Nanny's Fran Drescher alien experience as well as Adele's life in a haunted mansion. Today, we will add singer Ariana Grande to the mix. Back in 2013, Ariana Grande gave an interview to a Complex Magazine. Among usual celebrity topics, the interview took a different turn when the interviewer asked the singer if she believes in ghosts and aliens. Grande came clean about her beliefs telling the magazine that she is a firm believer in supernatural. Furthermore, the singer supported her beliefs with claims that she had experienced unexplained phenomenon herself. In continuation of an interview, she decided to share them with the magazine. Among shadow people, black eyed children and white eyed children; there is another type of paranormal entity which belongs to a bit more modern folklore. In today's article, I would like to introduce you to The Black Stick Man; another mysterious being people claim to have seen. 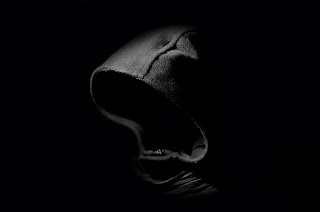 The very first time, I discovered the idea of the Black Stick Man was in an article on ListVerse.com where they discussed top 10 bizarre modern paranormal phenomenon. Although, Black Stick Man never really reached the popularity as other paranormal beings, he was placed on an honorable third place on ListVerse.com and above him were only the famous Black Eyed Children and Shadow People. Therefore, this mysterious creature deserves a place on this blog. Ok, so, this is a crazy one. I distinctly remember that I mentioned once on this blog that there are periods in my life when unexplained things would happen. Well, it's that time again! It all happened prior to Paranormal Experiences with my Roommate Part II post. It was probably the very first unexplained phenomenon of the current paranormal period happening in my life. The truth is, I'm sharing this story only now because I thought this event is just way too unreal and crazy even for me. However, it is a strange thing that happened in my life; therefore, it deserves a spot on this blog. The following is the true story that happened to me in August, 2016. Since then I have been debating about if I should write about this experience or not because I cannot say with all certainty that the occurrence was of paranormal origin. However, paranormal or not, the event was straight out of a horror movie and worth a notice. Therefore, I'm just going to let you guys to judge.